This week in Your Parents Basement, we are trying to rescue one of our girlfriend’s by fighting through hordes of high school gangs and potentially murdering them! From 1989, we’re playing River City Ransom by Technos Japan. You can manually download this week’s weapon-fueled podcast here, or subscribe to the show via the iTunes store. To manually subscribe, use this link in the device / podcast player of choice. You can also follow us on Twitter, or ‘like’ us on Facebook. 0:00 – Intro. This is a sweet cover of the “Boss Theme” from River City Ransom by Sergio Elisondo. He also does a cover of past YPB topics Contra. You can find our episode on that game here. 49:20 – Emails. The gang talks motion games (and mostly slags on them), and the past games from 20 years ago, in honor of Show #20. – Todd Brisket mentioned that he does Twitch from time to time. You can find his account here, which has the benefit of providing some peeks at his play sessions for past and future YPB games. – Patrick Klepek of Kotaku had the most recent update on the sequel, River City Ransom: Underground, in October. 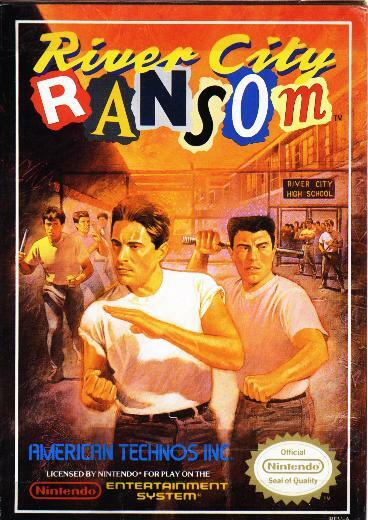 Although the status of the game was up in the air after Arc System Works acquired the rights for River City Ransom and Double Dragon, the only thing unknown now is when the sequel will actually release. Siliconera had the original article on Arc System Works acquiring the licenses. – Juese Cutler submits a piece on Cultured Vultures about the demise of X-Strike Studios, which had planned video game adaptions of things like River City Ransom. It’s very… long, but hey, maybe you’ll find it interesting? – River City Ransom is available for $4.99 on the Nintendo eShop for the 3DS, Wii and Wii U. At least according to most reviews, it’s faithful to the original NES version, and not the Game Boy Advance version that changed a few aspects here and there. – According to Price Charting, actual carts for River City Ransom are fairly pricey. The game itself for NES runs between $25 to $40. The box and manual ups the price range, $60 to $80. The Game Boy Advance version, which isn’t held in such high esteem, goes for $15 to $25 for just the cart, but the box and manual only ups the range to $20 to $40. – The list of prominent games from 20 years ago can be seen here on Wikipedia. There is also this REALLY long list here on IMDb.